Have you ever wondered how a medium knew they were a medium? Did they get hit by lightning or get a visit from an angel one dark night on the stroke of twelve? I was brought up in a very strict religious sect called the Exclusive Brethren, and my first spiritual/psychic experience was at the age of 11. I went to a church meeting every day and we were told at a young age to stand up in front of the church gathering with a microphone to read a passage from the bible, and then give an address inspired by the passage that we had read. Yes, this is me (above) at five years old, going to school on my first day... with my Bible in hand. In my case there were about 60 attentive faces looking at me that day, and my stomach was turning somersaults as I waited. I quietly asked for my Spirit friend (that my father had told me was there to help me) to prove it really existed as I kinda needed a lot of help right then. When I came to stand up, I said a few words and then I felt tingles up and down my body and my words seem to tumble out on their own. Five minutes went by and suddenly the tingles went and my mind went blank. I sat down stunned, little realising that that experience had changed my life. That was the conscious beginning of a relationship of trust with my guides, which overcame the fear and guilt that I had been brought up in. Don't get me wrong, I didn't suddenly glow in the dark or sprout wings! I was just kid from Yorkshire who had almost died at 6 years old with congested lungs. My family moved South to give me warmer winters and my father was offered a job at a furniture shop with accomodation in Salisbury, Wiltshire. I had an older brother, two older sisters, and a younger brother. I wasn't special. I was bullied at school and my family never had much money. My memories of growing up are of lots of music and singing, families coming for dinner, going out to other Brethren families for dinner and lots and lots of Church meetings. I did feel separate to the big outside world though. It almost felt like being in a big brother house and when I got thrown out by Big Brother at the age of 26, I felt like an alien. We were all encouraged to acquire a house with money generally borrowed through the church, spend our free time renovating the house, pop the question to a young lady from our own church, get married after a short engagement and then have kids. Sounds easy doesn't it? Brethren families didn't have TV, radios, computers and X-boxes, and weren't supposed to read a good novel. We weren't allowed to mix with the outside world unless it was a necessity. No going back to a new friends house after school unless they were in the Brethren, No sleepovers unless in the Brethren and, even then, we had to get permission if we were going to miss the local church meeting. Many a kick-a-round in the park was stopped because boys or school mates who weren't Brethren wanted to join in. No school activities after school, short back and scrape for a hair cut and no sideburns or jewellery. I got into trouble for wearing a copper ring made at school when I was 13 because it was "worldly". 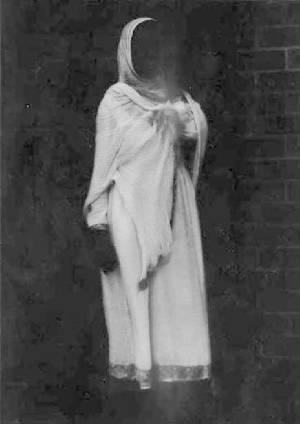 The girls and women always had to wear dresses or skirts, their hair long and loose, no make up and always keep their head covered when out. This consisted of a headscarf of varying colours. Smoking wasn't allowed. But drinking was actively encouraged, especially Scotch whiskey, and you were not allowed to be tee total. You would get into trouble if you got drunk, but I know that it encouraged people towards drink driving and to becoming alcoholics. In 1970 there was a huge rift that divided the Brethren down the middle. This started at some international meetings in Glasgow. My father had family who lived in Scotland, namely his brother Teddy and sister Alice. After the split they never spoke to each other again and the actions of the world leader at the time, split the Brethren down the middle. We were encouraged to play a musical instrument and I learned to play the piano, violin and recorder to a basic level. Then I learned to play the guitar, and from that moment for an hour every day I would sing and play 12-string guitar, bass guitar, banjo and steel guitar. I learnt to play with my younger brother and we began to harmonise our singing and then played our electric guitars together. This opened up new doors for us. Wherever we went, the guitars came with us, and it was a ticket to extra whisky and weekends away. As a teenager growing up I wanted to do all the things I wasn't supposed to do, such as swimming in the public swimming pool, going to speedway, attending football matches, watching TV through shop windows and going to the Odeon cinema. When I was 24, my rebellion was found out and I had the dreaded visit from the two elders of our church. Their punishment was to ban me from the church meetings, ban my family and any church members from talking to me, and to send me away from home to stay in a bed and breakfast indefinitely. They also banned me from going into work as I was a partner in a business with my parents. Once a week they would pay me a visit to see if I had repented and whether I was suitable for me to return to the flock. After 7 long weeks I was allowed back, tail between my legs. I then acquired a house after begging and borrowing money from ten different members of Brethren. I couldn't live in the house but it gave me somewhere to kill the hours on Saturday and the evenings through the week. Trouble was, now there was a lot of pressure to get married. Even worse, another rule was introduced saying that we could only marry someone who was within 5 years of our age. Well that left me 3 girls in my area and age group, and I didn't physically like any of them, which made life difficult. I ended up proposing 3 times by letter to three girls who I didn't really know, but had spotted amongst 2000 church members at a large meeting and thought they looked the best of the bunch. Thank goodness that never came off! Since I left, the Brethren has introduced a new way of helping young men find suitable girls to marry. Each family has a photo album of all the Brethren families in every town and city across the world. Each family photo has the age and name of the children. Any young man wanting to marry a young girl he likes the look of would wait until her 21st birthday and send a letter of proposal to her. If she decided amongst the numerous letters that there was someone she liked, she would then ask for permission from the relevant elders of her meeting/church. These elders would then arrange for the young couple to have time together under supervision. In my day there were no public shows of affection such as holding hands or kissing until couples were married. Sadly honeymoons or "holidays" were not allowed, but you would always have your own home and lots of willing help for practical alterations that may have been needed to be made. By the age of 26, I had gone back to filling the boredom by going to all the places I shouldn't with two friends. It was always without my parents knowing, meaning I led an almost double life and felt quite guilty most of the time. On the 18th May 1985 at 10.20pm, the incessant ringing of the telephone shattered our Saturday evening. My father came into the sitting room and said, "That was the local elder. They are coming to see you tonight. What on earth have you been up to?" After about 45 minutes of interrogation, the two elders said that I would be confined to my bedroom until they decided what to do with me, and that I would be "Shut Up", meaning that all my family and members of the Brethren church would now be banned from communicating with me. They also told my parents to stay at home, but to have no contact with me at all until further notice. So on the Sunday I was woken with a cup of tea and breakfast outside my bedroom door and likewise my dinner too. In the afternoon, as my parents hadn't been contacted, they called me down to confront me. My father was very upset, asking how he had failed me, etc. My mother was very quiet. I apologised and tried to explain that I had tried very hard to be part of their beliefs, but I didn't have any conviction about them, and that I couldn't see why we were supposed to be different from everyone else. I was then sent to my room to pack my suitcase, as we had been told that I was being sent to live in my empty house, which had no plumbing and little furniture. I said goodbye to my Mum, and my father dropped me off at my empty house. His last words as he kissed me were, "Don't make it too long, son." It started to sink in slowly. I wouldn't be able to go into work, as I wasn't allowed any contact with my parents. I realised I had better try to do some cooking and unwrap the contents of my 'Bottom Drawer', which had utensils in it for when I was to be married. I spent the next few days going backwards and forwards from the £1 shop buying utensils for the house, re-fitting pipe work so that I had water and thinking a lot about the injustice of the whole situation. It seemed that once again I would have to go through a repeat of what happened two years earlier, with weekly visits from two serious looking elders, until they would decide that I was repentant enough to be taken back into the fold. A week later I was contacted by the two local elders who wanted to see me. I welcomed them in to my rather sparse house and they sat down with glum looks on their faces. I was hoping that they might say that they were missing my smiley face and little jokes, but sadly they didn't. "We have been in touch with our world leader from America," they told me. "He says that this isn't your first time and that you are a bad influence on the younger members of our church. We have to Withdraw from you." Being Withdrawn is a bit like being sent off in a football match. It's pretty permanent and all contact from anyone in the Brethren church is forbidden, even family. One of them then said, "You know Peter, without us you will end up in prison." Really, I thought, and this from a guy who had been no angel! I sat in stunned silence after they had gone, with the realisation that I hadn't been able to say goodbye to all my family and friends, that I no longer had a job as I was in partnership with my parents, and that everything was gone. I sat on a box in a half empty room and sent up a little prayer, "PLEASE God, if you are there you must have a reason for this. Where are you taking me? Please give me friends again and a job." And then I felt it! That old familiar tingling feeling all around me. I felt loved and supported by my unseen friends and I knew then that I was all right and that I had to trust. I quickly went to find my 'Partner in Crime', Paul, who lived down the road and was going through the same thing. We were both very positive and determined to make the most of our freedom. I felt like a HUGE weight had lifted from me. No more guilt or double life! Suddenly I realised that I was allowed to have my own opinion, not try to fit in with that of others. I wasn't going to be pressured to pop the question every night. I WAS FREE! So the house had to go up for sale and Paul and I tramped round all the banks asking for a mortgage so that we could buy his house together. Nearly all the banks except one pushed us towards the nearest door, when finding out that we both had just started new jobs and had no stability in our lives. I had a knock on the door some months later, and a man I used to know asked if I would like a job as a service contractor on the army camps. I asked how he knew I needed work? He just smiled and said that he had heard that I had fallen out with my father (not really true), and could I start in one week's time? In an attempt to make new friends, I joined up with the local 18+ group who met each week, and through that met my first ever girlfriend, who introduced me to the local Spiritualist church and her friend, who was a medium. I had vowed never to go to a church again in my life, but I was curious because some of the 18+ group were going and they seemed quite sensible people. So along I went to a clairvoyant evening, in a packed hall, with not a clue what to expect. Well, the medium picked me out and proceeded to tell me a lot of things about my breakup with the family, about my loss of home and my job. He also told things that no one knew the outcome of until a few months later. I was astonished! From that point, I was hooked. I went as often as I could after that. I also went on a healing course, sat in a physical circle, and whenever the medium said to me, "You have a Spirit close to you, Peter," I would always feel that same old tingly feeling that I had had since I was 11 years of age. I remember after a few weeks of the circle, I had begun to get very sensitive to it all and, as I lay in bed one night sleeping, I was woken by a knocking on the wardrobe door. I shouted to it to go away and it slowly faded away. My heart was banging like an old bass drum I must admit. The next night I woke to see a figure at the bottom of the bed. Again I shouted, "Go away!" (or words to that effect) and it faded away again. I went to the lady teaching me and told her, "You know, if this is what it's like I am not going to do this, because I want to have a normal life!" She said, "You have to take control. Spirit have to learn that you need your sleep and that you have a life to live." So I had to learn to take responsibility and learn to protect my sensitivity. I then began to sit in a development circle every Monday evening with the medium/leader Karen and 5 other committed friends. We started off by sitting for physical mediumship. This involved sitting in a small kitchen with all the windows covered up with sheets of plywood, so with had near-enough complete darkness. What we were doing was to try to create the atmosphere and conditions conducive to allowing spirit to communicate in a more physical way. This might mean getting responses to questions with tapping or knocking noises, or witnessing spirit lights or table levitation. We never saw or had materialised figures appear, such as in the photo taken above. In fact this was a rare form of mediumship which was normally associated with mediums such as Helen Duncan, particularly around the War years when there was so much loss of life. We also sat with an aluminium trumpet, which was like a megaphone with luminous bands at the top and bottom. This was there to allow the sitters to see if the trumpet was moving or levitating in the darkness. Ultimately the aim was for ectoplasm (the white substance used by Spirit that was visible to the naked eye) to build within the trumpet and to levitate it. They would then create a replica larynx within the trumpet which would allow Spirit to talk through it, until the circle was developed enough for the replica larynx to be separate from the trumpet and be used for Independant Direct Voice mediumship (meaning it was seperate from the medium). I do remember one evening. We sat in the kitchen and the window and glass door had been blocked up with plywood, propped up from the outside. We were in a heightened state of awareness after the meditation and asking for a sign from Spirit that they were there. Suddenly there was an almighty crash as a piece of plywood fell away from the window allowing light to stream in. We all jumped, the medium screamed with shock before we all collapsed with laughter. It begged the question as to how we would react if a ghost suddenly appeared in all it's glory in the kitchen. Who would frighten who! We had the usual cobweb feelings on our face and hair, cold shivers and draughts, flashes of lights, table movements, lip smacking noises in the corners of the room and whistling, etc. I remember getting very uncomfortable feelings as my guides tried harder to get closer to me. It felt like a big hand trying to push its way inside a small glove and my body was feeling bigger, then smaller, cold then hot, as my energy vibration was being affected by my guides' faster vibration. For 5 years I sat with the same group of people, with the odd visitor coming to give us something different to work with. I remember the first confirmation I had of my clairvoyant abilities. As we were asked to consciously make a link, I saw a clear image of an elderly lady with a green dress and a stick. I described how she looked and how she passed and a man called Tom said with surprise that it was his grandmother. I was really surprised and questioned him closely believing, as we all do, that this lady was a figment of my overactive imagination. But he said she always wore that green dress and everything else I had said he was able to confirm. It seemed to me that the secret to developing clairvoyance and mediumship, was to let the message flow. If I thought about it too much, then my left brain got in the way of the message which came via my right brain. Therefore the challenge was to relax enough to go in to a day dreamy state, but be aware of the thoughts and feelings that came to me. And I had to learn to ask Spirit the right questions, to get the information that was evidential for the recipient. Another memory from those days which still makes me chuckle was after a short break over Christmas when we restarted the circle. The medium's husband asked if he could join the circle and we agreed. However at the next circle we got increasingly frustrated as he fidgeted throughout the evening and kept correcting his wife as she tried to guide us in our development. After a couple of weeks we decided that we would have to ask the husband to leave the circle, as he couldn't sit quietly and was being disruptive. The next week we sat quietly relieved looking forward to a productive and inspired evening without disruptions from the husband. We had done the opening prayer and we were being guided through the meditation, when we became aware of hearing the husband coming home from work. As we were being guided to see a beautiful waterfall and stand beneath it, feeling the gentle spray washing away our troubles... at that precise moment, right on cue, the husband flushed the toilet triggering bursts of stifled laughter from the sitters as we realised that, once again, he had managed to influence the circle without knowing how or why.